Over the past four years there have been many commemorations of the events which took place during World War 100 years ago. There have been many books looking at various aspects of the war through fact and fiction. The Winter Soldier, which will be published in October, is something rather different, something quite special. It has been compared to Birdsong and I can see why it will appeal to fans of that book including myself. This is a book which looks at the brutal reality of the war for Lucius, a 22 year old medical student from an affluent family in Vienna. Lucius hasn’t even finished his training, has barely been allowed to touch a patient but he is flung in at the deep end, the only medic at a field hospital in the remote Carpathian Mountains. With no actual experience he finds himself learning rapidly on the job, and learning a lot from Margarete, a nurse and nun, who is clearly skilled and highly competent. There are lots of medical details which have evidently been well researched. There are some graphic medical scenes with shockingly vivid descriptions. The author does not shy away from the horrors experienced by his characters, from the inhumanity shown by some but equally the humanity evident in others. The subject of soldiers suffering from neurological conditions, shell shock or post traumatic stress disorder is one of the themes. It is an area Lucius is fascinated by and an area of medicine not really recognised at that time. The relationship between Lucius and one such afflicted soldier is fascinating and one which resounds throughout the book. Although there is a passionate affair, a great love in this book, this is no romanticised vision of war. This is blood and gore, lice and typhus, desperation and exhaustion, dedication and determination. This was the reality faced by medics during The Great War. The Winter Soldier is a masterfully written book, very moving and thought provoking. This atmospheric book had me gripped from the first page to the last. Vienna, 1914. Lucius is a twenty-two-year-old medical student when World War I explodes across Europe. Enraptured by romantic tales of battlefield surgery, he enlists, expecting a position at a well-organized field hospital. But when he arrives–at a commandeered church tucked away high in a remote valley of the Carpathian Mountains–he discovers a freezing outpost ravaged by typhus. The other doctors have fled, and only a single mysterious nurse named Sister Margarete remains. But Lucius has never lifted a surgeon’s scalpel. And as the war rages across the winter landscape, he finds himself falling in love with the woman from whom he must learn a brutal makeshift medicine. Then one day, an unconscious soldier is brought in from the snow, his uniform stuffed with strange drawings. He seems beyond rescue, until Lucius makes a fateful decision that will change the lives of doctor, patient, and nurse forever. 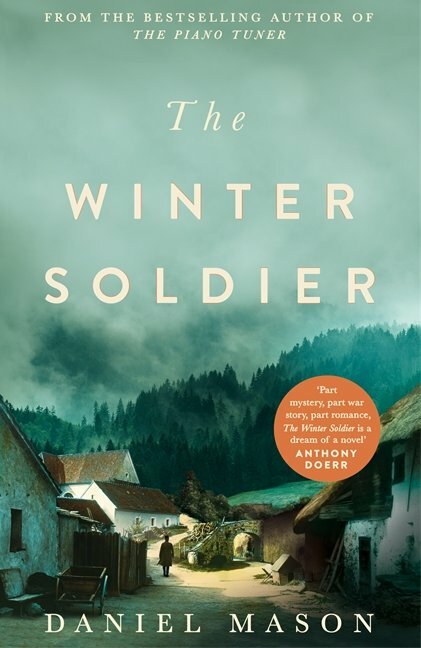 I feel we are all suffering from WW1 fatigue – obviosuly not as much as the people who had to live through it – but this novel really took my interest. This sounds like an incredible book. Definitely adding it to my wishlist. Thank you for your thoughts!